I really enjoyed this collection of stories. I actually thought this was a novel and admit that I was slightly disappointed when I started it and found out that it wasn’t. However, all these tales are linked by a similar tone and as a result it felt as though I was reading a novel but with a variety of scenes and characters. Also, the strength of the episodes meant that I didn’t really mind after a while that these were short stories. There were some really strong and lyrical ideas here. Cozarinsky really knows how to evoke a setting and a time and how to squeeze the emotion from it. I enjoyed the last story the most, but that’s possibly because it is the longest. Cozarinsky’s main themes seem to be the displacement of people, and the very personal nature of history. None of these stories involve a genius – these are normal people – some are writers, artists, musicians and actor but none of them are great. They are placed in different situations and linked to a personal history and the important thing seems to be just the act of remembering. Never mind the great historical moments – it is personal history and the mysteries that are associated with these that are important to Cozarinsky. 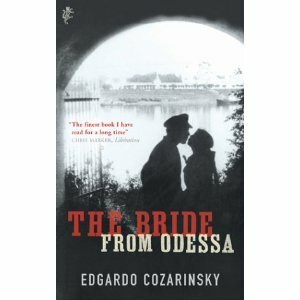 As well as being a writer Cozarinsky is a film maker and I really need to see some of his films if they bear any similarity to his writing. This collection is very moving, without being sentimental, and well worth reading. Soundtrack: anything by Vladimir Vysotski. This is maybe the third time I have read The Little Prince and it gets better each sitting. A perfectly formed little book and quite a stunning work of genius. It can probably be seen simply as a strange children’s tale but it also works as a surreal book for adults too. I think I enjoyed it more this read than previous because I knew the story and was thinking more about the allusions and the themes. There’s not much else I can say. Everyone should read it and enjoy it simply as a story or to think about the things being said. In a way I can’t help thinking of Swift because of the use of parables or tales and the critical attitude to the world of humans or adults. Though obviously it is much gentler and contains some hope for the future. With Swift hope for humanity is a moot point. Anyway. The episode with the fox was good along with the concept of ‘taming’ and the last two pages are brilliant – particularly the second to last page. Somewhere out there is a very small planet inhabited by a prince who loves a rose but who keeps the rose in a dome because of a rogue rose-hungry sheep that should have been drawn with with a muzzle. Very interesting that De Saint-Exupery decided a muzzle was required even though the sheep is only doing what it would do naturally in a world of scarce resources. Yet another great book. I seem to be on a roll recently or perhaps the critical process before I select a novel to read is paying dividends. This is every bit as good as The Golden Calf – I think it is maybe more standard as a novel but it still runs away with itself similar to ‘the Calf’ which is the sequel. There are many laugh out loud moments but generally the book was read with a constant smile on the face. There is more than just the humour – it is an indictment of the desire for money. The characters that strive for financial gain are sensitively treated however, particularly Ostap Bender. It also critiques the trappings of communism and the NEP reforms of the 20s along with the bureaucrats and it is precisely this political ambiguity which means the novel is still relevant. This story is strange, amusing and imaginative with some underlying meaning. You never know what is going to happen at any juncture – who are the odd characters you will meet, will Bender and cohorts win or fail and does it really matter? There is one more Ilf and Petrov book left to get – I will need to savour reading it. I seem to have got to the end of everything Gombrowicz has written which is a little disappointing. I feel like I want there to be something more. The third volume of his Diary is very interesting as it covers the period before he leaves Argentina, his sea journey and finally his reintroduction to the Europe he has been writing about and scrutinising from afar. He is now a literary star in Europe rather than the wayward bohemian he was in Argentina. As always he stirs things up when writing or speaking. This causes him some trouble in his homeland (Poland) but he doesn’t seem to care. All three diaries are excellent but perhaps this one is more of a story because there is a journey and Gombrowicz is the misunderstood central character waxing lyrical with nonsense and opinionated subterfuge. There are some fantastic passages when he speaks at a conference in Berlin. He tells us he speaks absolute nonsense and the students all nod their heads and listen turning the absurd into comprehension by their own creative sense of form. 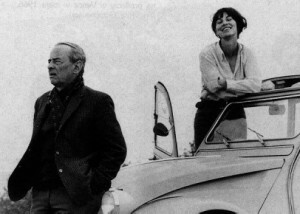 Which, is really the central obsession of Gombrowicz. I loved reading this Diary and now I probably only have disjointed articles written by Gombrowicz in various Journals still to read. Or perhaps a rereading of Cosmos or the new translation of Pornographia is on the cards. Soundtrack: Broken Bells – ‘Your Head is on Fire’.